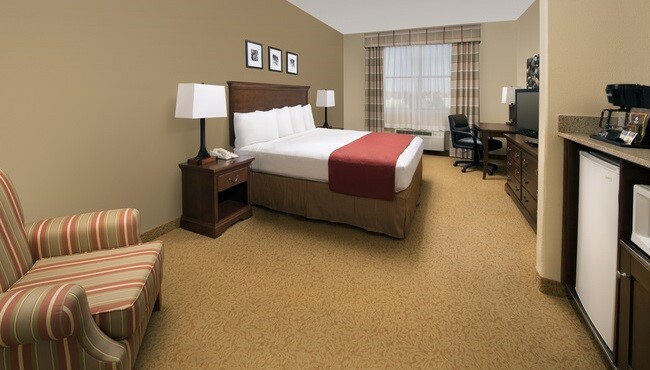 Let our friendly staff check you in to your spacious hotel room or suite at the Country Inn & Suites in Humble, TX. Settle in for a night of HBO on your 32-inch LCD TV, or catch up with friends and family using our free high-speed Internet access. 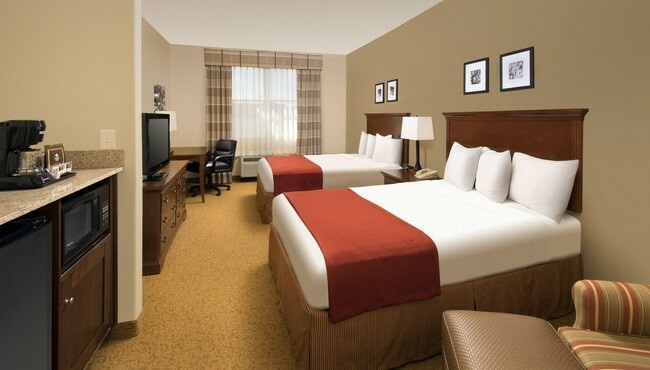 Enjoy your favorite snacks and beverages while on the road thanks to the in-room microwave and refrigerator. 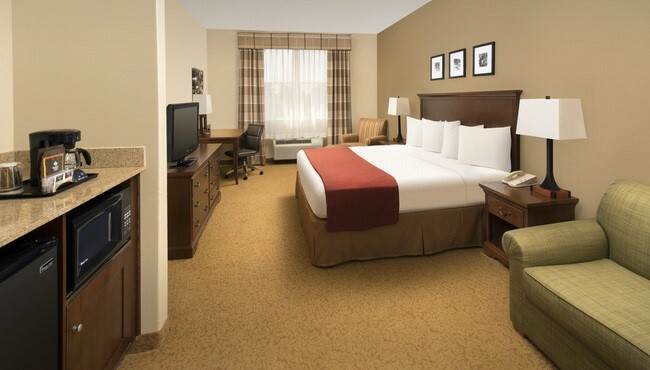 In the morning, brew yourself a fresh cup of joe with the in-room coffeemaker before heading down to the free, hot breakfast. 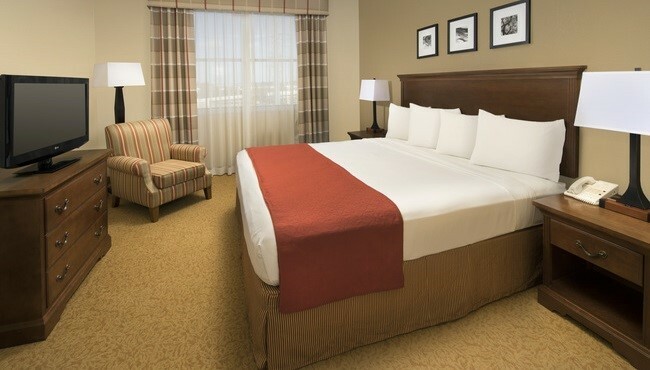 Enjoy an inviting stay in our Standard Guest Room with the choice of one king bed or two queen beds. 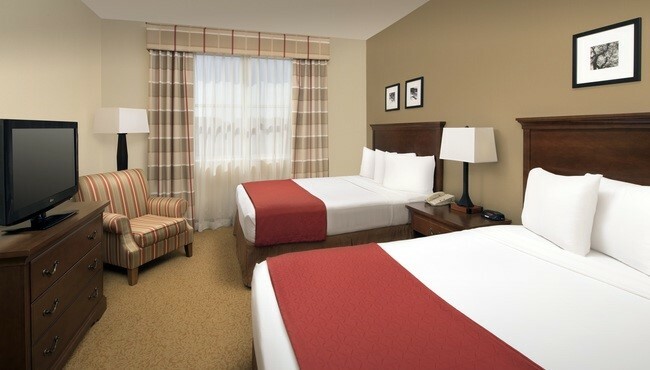 Enjoy additional privacy in the One-bedroom Suite, featuring a separate bedroom furnished with either one king or two queen beds. 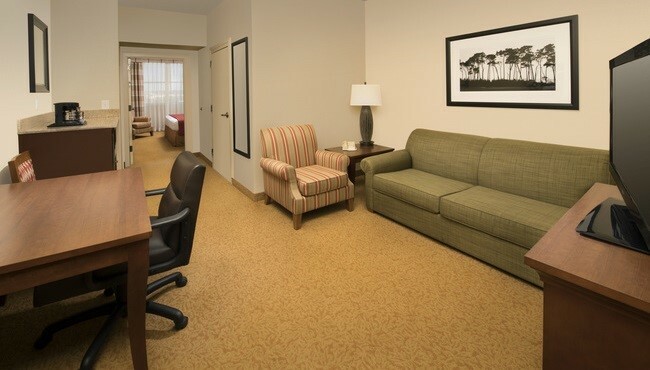 The living area offers an additional LCD TV and a sleeper sofa. Treat yourself and a loved one to a romantic getaway in our Whirlpool Suite with an inviting two-person whirlpool and a king bed.